Quick way to set your truck to the correct ride height during fabrication! I can’t begin to tell you how many times I have heard complaints about a builder’s truck sitting too high during chassis fabrication. Let’s face it, the springs on the coil over shocks, or worse yet the springs supplied with your new custom coil spring front end (Mustang II) are too stiff to be used during the assembly of your truck. Later on they will have to support the weight of the engine, full radiator and ll the truck’s sheet metal. Truth is, these springs need to be cycled, a feat only accomplished by driving the vehicle and breaking in the springs. So, with your new suspension installed, your truck sits too high to perform work other work without damaging steering components. This is especially true of the Mustang II front end as those springs are 14 inches tall, and will not give even under the weight of three 400 lb. fat boys! Hard to believe they will eventually cycle and the lower control arms will be almost level, after the truck has been driven 500 to 1,000 miles. The stiff, bone jarring ride will go away as well. Don’t cut the springs are they will be too short after the springs cycle and begin to move. Just drive it and give those springs time to cycle. What to do? As shown in the photo, fabricate a strut out of a large piece of flat bar stock and position it where the springs will eventually be installed. I have even seen a piece of 4×4 use to support the weight of the truck during construction. Having the truck close to level will enable you to properly set the steering rack. Also, the tie-rod boots and ball joint boots can be pinched and torn from the A-arms being fully extended. 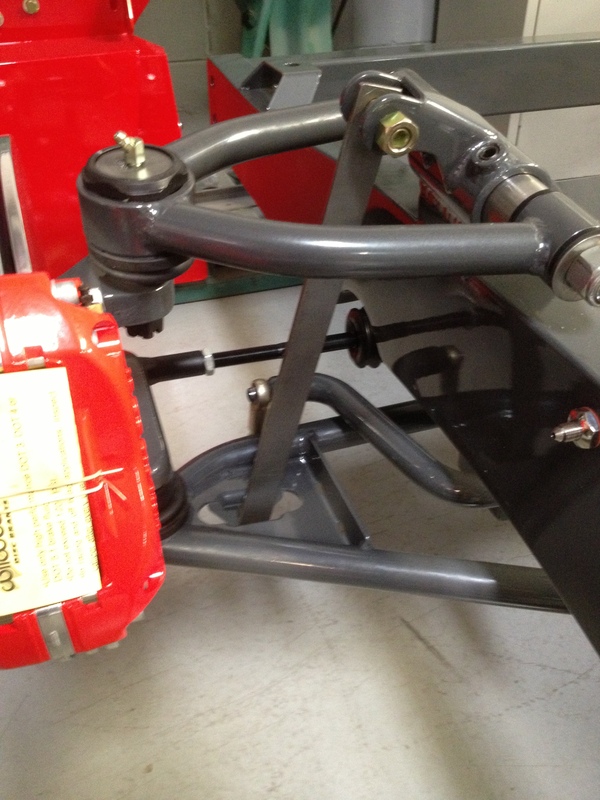 Use a set of home-made struts as shown in the photo to eliminate damage and your truck will be sitting right for when your friends that are full of constructive criticism drop by. 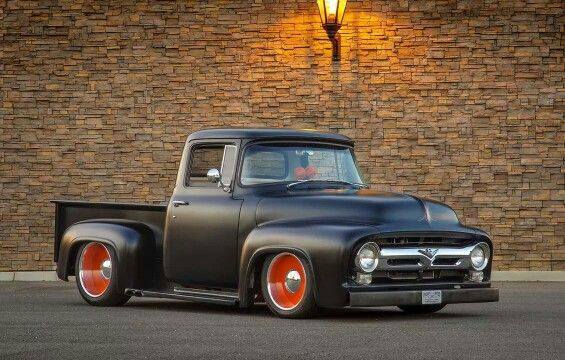 « What’s An Old Ford Truck Worth? What’s An Old Ford Truck Worth?